Screaming Females: DIY In New Brunswick : The Record The rock trio has helped support a thriving underground scene in an unlikely New Jersey town. The members of Screaming Females have nurtured a thriving underground scene in an unlikely town. At first glance, New Brunswick, N.J., appears to be an unpromising setting for a vibrant local music scene. The home of giant Rutgers University has no record store, scant music press and few official concert venues. Yet New Brunswick has nurtured a thriving underground rock scene, anchored by a band called Screaming Females. The only female member of Screaming Females is singer and lead guitarist Marissa Paternoster. "I don't like it when people are taken aback by the fact that I'm female and I play guitar," Paternoster says. "I don't want to be turned into some kind of, like, freak show, you know? I'd like to be considered as a good musician, even though I don't consider myself a very good musician." But anyone who's heard Paternoster play will tell you she is. Paternoster was a shy kid from Elizabeth, N.J., four exits up the Turnpike from New Brunswick. She picked up the guitar when she was 14 and found out she was good at it. But she didn't have many opportunities to play. Paternoster wound up in art school at Rutgers, where she met drummer Jarrett Dougherty, who helped introduce her to the music scene in seemingly unmusical New Brunswick. "So it would appear that it would be a breeding ground for absolutely nothing," Dougherty says. "But instead, it has built a very strange and amazing music community that has to work really hard to be able to exist." It's a scene that can be hard for outsiders to find. New Brunswick has a long tradition of DIY rock shows in the basements of houses near campus. At Meat Town USA, Paternoster leads the way down the narrow stairs of one of the underground venues where Screaming Females got its start. "We don't take any money at the door," says Thomas VonHalle, who lives upstairs. "All the money goes to the touring bands. You wouldn't really be able to do that if it was a real venue that was allowed by the state. So we keep it illegal. Keeping it illegal in New Brunswick." VonHalle doesn't like to give out the house's address, for fear of attracting attention from the police. It was in basements like this one that Screaming Females' members were free to find their own sound. The band draws on the riot grrl bands of the 1990s, along with more mainstream fare like Smashing Pumpkins. But its sound is a far cry from the tasteful understatement that characterizes most blog bands du jour. "We don't sound like what's currently hip, and what people are trying to copy," Dougherty says. "And that's because we came from a community that was not concerned with what was currently hip." While most New Brunswick bands break up or burn out after school, Screaming Females just put out its fourth album, and the band is starting to get attention from the mainstream music press. This year, Paternoster was featured in the glossy pages of Guitar World magazine. "The poor girl who was taking pictures of me really wanted me to, like, scream at the camera," Paternoster says. " 'Cause have you ever flipped through those magazines? It's always that guy from Anthrax screaming at the camera. He's on every page, with his stupid beard chin beard weird braid thing. But she really wanted me to scream. And I'm like, 'I'm really shy; I don't really want to do that.' And then they did an interview with me where they asked what kind of strings I use. I was like, 'I don't know. Whatever the -- I say, can I have the cheapest strings?' 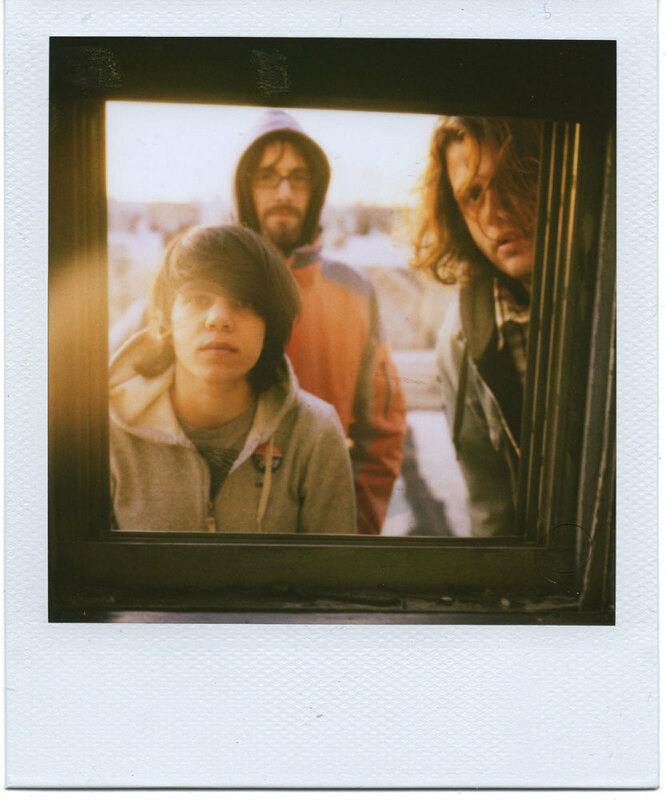 "
The members of Screaming Females make a living playing music, though just barely. By their own count, they play more than 150 shows a year. 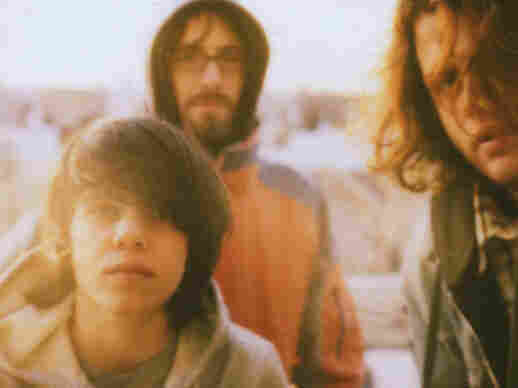 They've played for thousands of people at a time opening for fellow New Jersey natives Yo La Tengo and Ted Leo and the Pharmacists, among others. But drummer Jarrett Dougherty says the band feels most at home in smaller venues. "For us, the best shows in a lot of towns are still in those same basement communities and DIY spaces we've been touring with for years," Dougherty says. "That's a great crowd to play for. Those are people who want to experience something new, and are ready to judge for themselves if they like something or not."